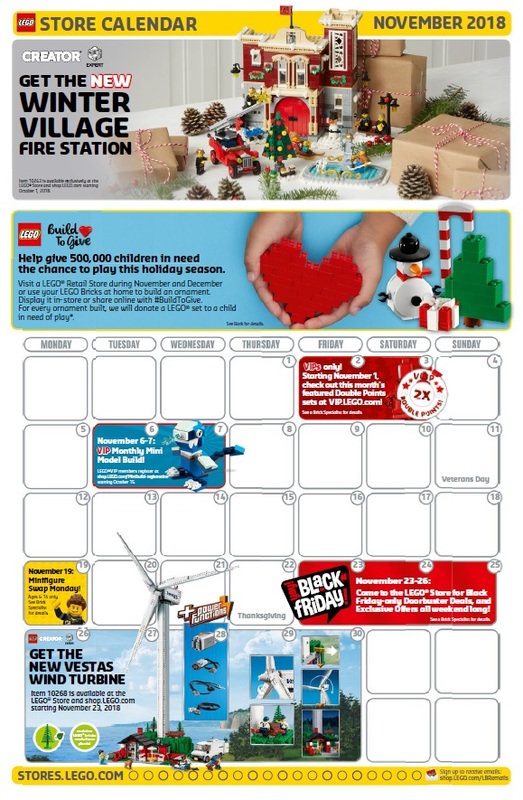 The November 2018 LEGO Brand Retail Store Calendar is now out! There's not much for next month's calendar but there are some stuff that's worthy of mention. This includes the Black Friday Special Deals that runs from November 23-26. The new LEGO Vestas Wind Turbine will also be available beginning November 23 as well.